To report your partner or ex-partner for a domestic abuse incident in an emergency, call 999. The police should make your case a priority. Otherwise, phone your local police on 101 to report non emergencies. • Check to see if you’re injured or need treatment. • Try to gather evidence. In Scotland it must be from two sources – usually your statement plus witness information from anyone who saw or heard the incident, such as a neighbour. If you do have any injuries, they may take photos. • Separately interview you and your partner (if they’re at the scene). If an older child was there at the time, the police might want to speak to them. • Look for any other evidence of damage, such as broken door locks, punched walls or doors. • Take a note of any children who are present or will be present in the future. If there are children, the police will refer the incident to Social Care Direct so that you they can work with you to protect your children. What happens to the abuser? If the police have enough evidence that your partner has committed a crime, they may arrest him and keep him in custody until he appears in court – usually the next working day. Alternatively they may charge him with the crime and give him an undertaking to attend at court on a specific date within the next few weeks. The police will also put police bail in place where the accused will not be allowed to contact or approach you. To get help, contact EDDACS on 0131 315 8122 who will give you all the information you need about the court process and support and guide you through it. Contact a Family lawyer who will be able to provide you with information with regard to the legal options that are available to you. This can be with regard to protection orders, divorce and child contact. 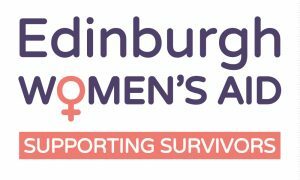 An Edinburgh Women’s Aid worker can support you to do this.